Slowly but surely I'm getting back into my old ways! I can feel my motivation coming back full force after these last few days of work... Been studying anatomy in the morning and painting either a study or a personal piece after freelance. Overall I feel I'm really learning a lot now, mostly about texture within my own personal pieces... and how there isn't enough! The skeleton dude I painted last night was textured but was my first attempt with all the brushes i got. So hopefully I can keep on applying it and eventually start to really take advantage of my brushes :D! 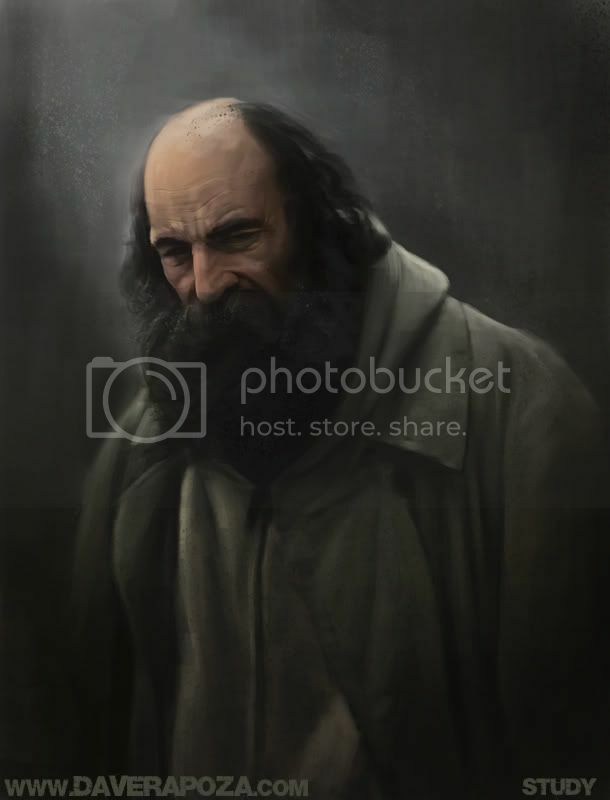 Painted some homeless guy from a photo I found on pbase.com. Awesome site for refs :)! Most beautiful homeless guy I've ever seen that's for sure. The use of texture really show on this one and it gives it a very realistic pop. Quick question... for most of your work in Photoshop, what resolution do you work in? sweet dude! keep it up.